​We're not going to lie; we haven't ​thought about Caron Butler in a while. But his barber has been working overtime with a can of spray paint in the interim to make sure we don't forget about him permanently. Butler showed up during the postgame show Saturday to talk Warriors-Clippers Game 1 with a bit of new detailing, but don't worry. Twitter was there. ​Carlos Boozer wants his gimmick back. ​​Same situation as Boozer; we exclusively remember him as a bald man. Nobody is forgetting about that. As soon as he gets off TV, you know he's pulling a Jason Witten and wiping down with a coarse towel. ​​He looks like if your accountant tried to fix the printer. ​​Much respect to Butler for being the latest athlete to put their pride aside and shamelessly create a covered noggin, but we have to give a primary shoutout to the innovator in this field, Boozer himself. Without him, there wouldn't even be a game to be played. 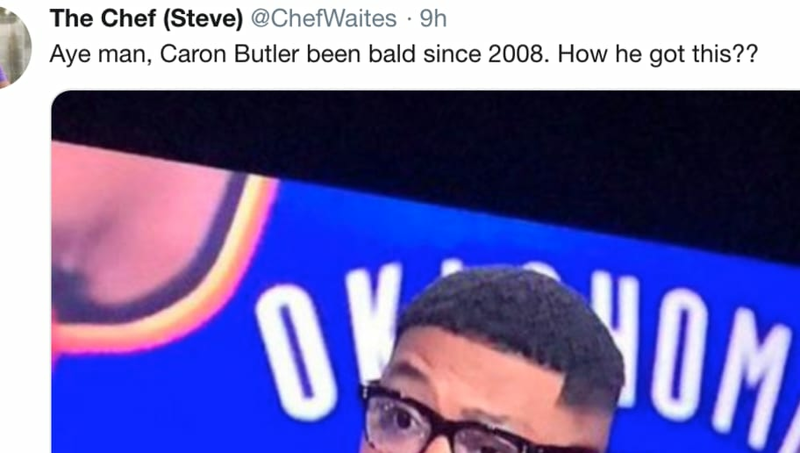 ​​Get excited for Game 2, when Butler shows up with a perm and thick eyebrows.